In another blow to President Obama’s flagrant executive overreach, a federal appeals court smacked down an ObamaCare rule requiring all indemnity health insurance plans to meet essential coverage minimum standards. The decision offered by the three-judge panel included Patricia Millet, an Obama nominated judge, who said the Administration “overreached” when it adopted a 2014 rule that “effectively eliminated” the plans by adding “additional criteria” to previous law. The courts have repeatedly rebuked Obama for extending his executive pen too far. 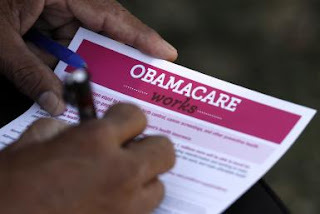 In May, a federal judge ruled Obama “exceeded his authority” and struck down an Obamacare provision giving billions of dollars to health insurers through subsidies. Last month, an Obama-appointed federal judge struck down Obama’s overreach when it came to fracking regulations. In June, an appeals court ruled Obama had wrongly bypassed Congress on his temporary government appointments. Last year, the Courts blocked Obama’s water rule not once, but twice for flexing executive power exceeding federal law. The court’s continued rebuke of Obama’s imperial presidency shows that no one is above the law when crafting irresponsible policies that go against the Constitution and hurt Americans. Sadly, the American people must continue to look to the courts to protect them from the damaging policies of the last 7 years. Read more at AR Squared.